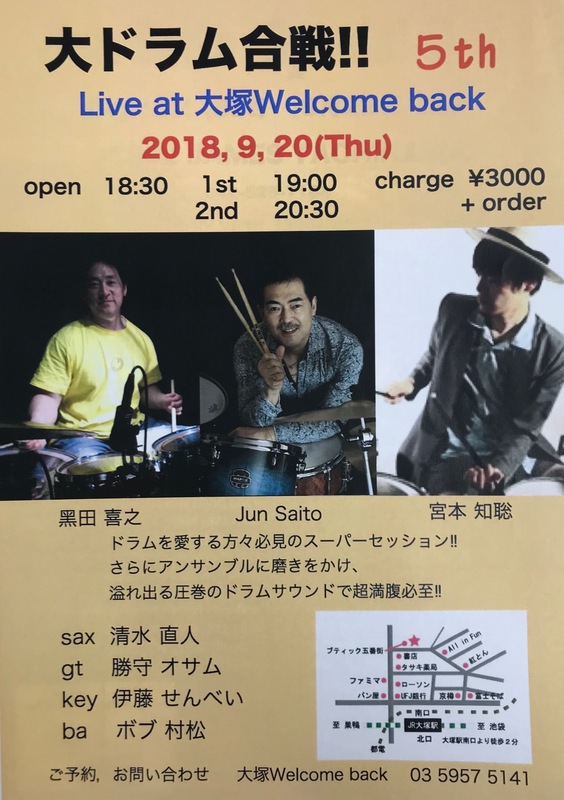 Last August, Jun Saito brought this band back after 18 years to the great jazz club JESSE JAMES TACHIKAWA. 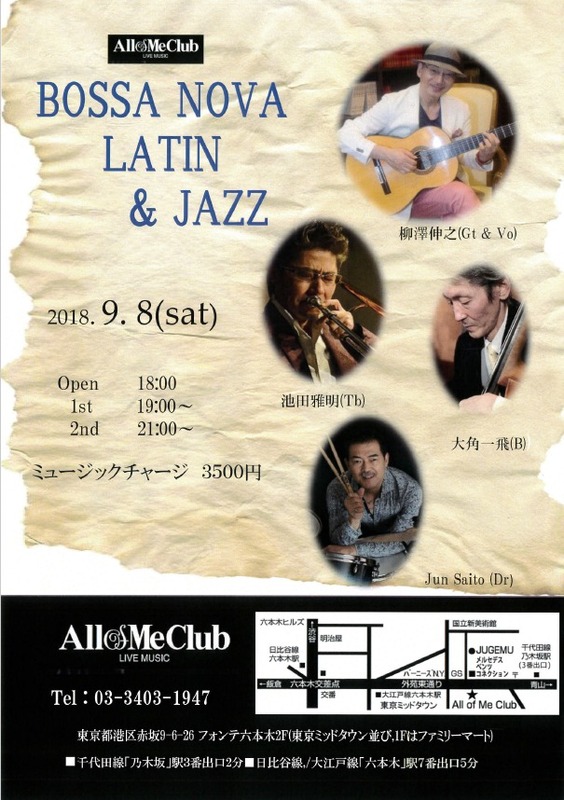 Jun considers the musicians in this band some of the best in Tokyo. 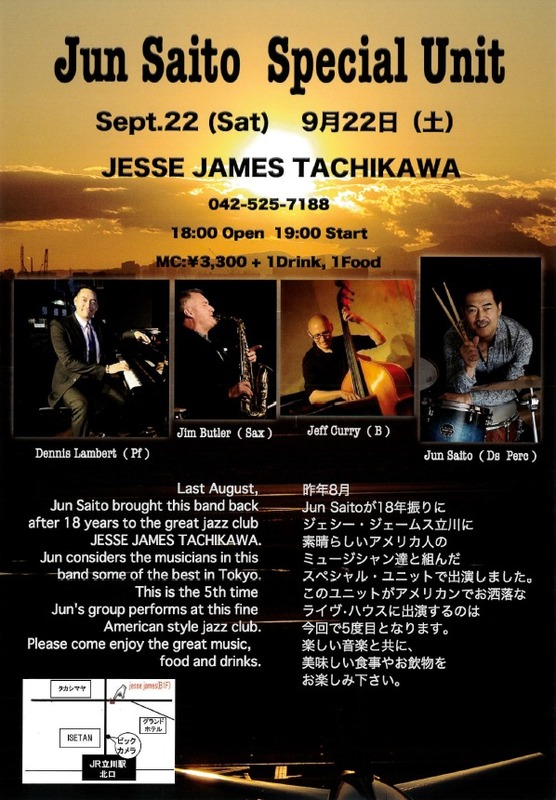 This is the 5th time Jun’s group performs at this fine American style jazz club. 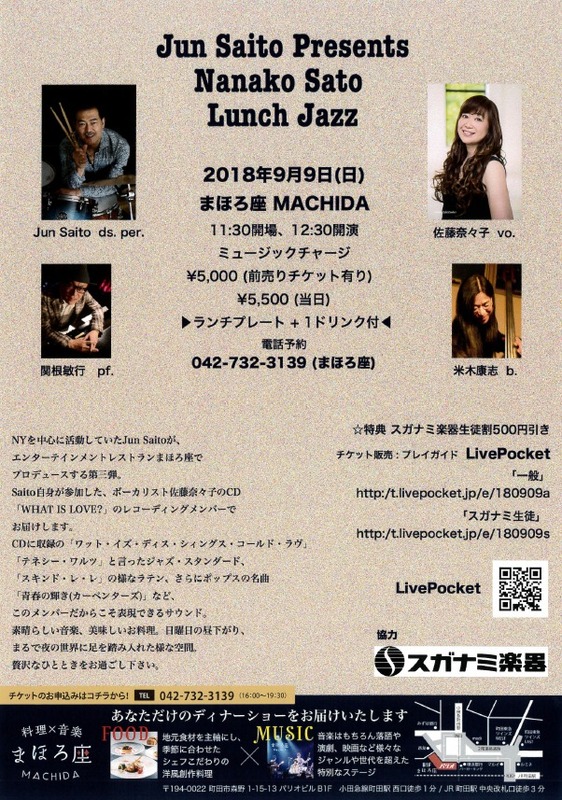 Please come enjoy the great music, food and drinks. © 2019 Kunitachi Music Academy Inc.